Around 50 people attended a “Save Our Libraries” meeting on Tuesday 3rd March, organised by the National Union of Teachers. 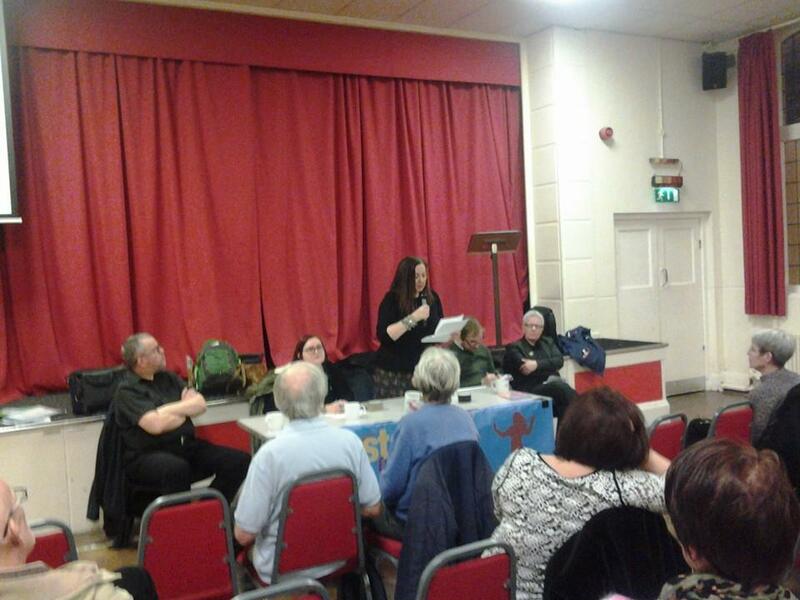 The meeting, chaired by Coventry NUT President and Trade Unionist and Socialist Coalition activist Nicky Downes, heard speeches from authors Alan Gibbons and Cathy Cassidy about the importance of libraries and the campaign to save them. Socialist Party member Dan Crowter spoke at the meeting about the need for the council to adopt a fighting strategy by using their reserves to buy time, and build a campaign with trade unions and community groups to get the money back from central Government. Afterwards we interviewed children’s author Cathy Cassidy about the campaign. Dan: Where do you think the campaign to save the libraries should go now? Cathy: We need to keep it up. This [the one year delay of closures] isn’t breathing space, it’s a chance to build the campaign. The protests and lobbies of the council should continue, write letters to the paper, turn up to meetings and councillors surgeries. Keep saying it. Be a thorn in the side of the council! The campaign in Coventry has been amazing, so keep it up. Put pressure on the council – I don’t believe any Labour councillor wants to make cuts. Dan: So what would you like to see the council do instead? Cathy: Well, instead of making cuts with a heavy heart, why aren’t their hearts so heavy that they decide they can’t make the cuts? If it’s playing on their minds, if it’s weighing on them, on their consciences, they should listen to that. They should listen to the people of Coventry, and stand up for the people and for the children who use the libraries. Children keep contacting me and telling me they care about their libraries, asking me to stop this from happening in their town – the councils need to listen. Thanks Cathy for doing the interview and supporting the campaign – join the fightback against library closures and all cuts! Solidarity greetings on International Women’s Day 2015 – Fight for socialism!